Use your personal profile to build and reinforce your business brand. Just because getting followers for your business page is the ultimate goal, that doesn’t mean you should stop using your personal profile altogether. In fact, your best bet is to use both your personal profile and business page in tandem, as this will allow you to improve your personal and business brands. With the potential influence of Google Authorship in SEO, it wouldn’t be a bad idea to ensure your personal profile is a strong one. 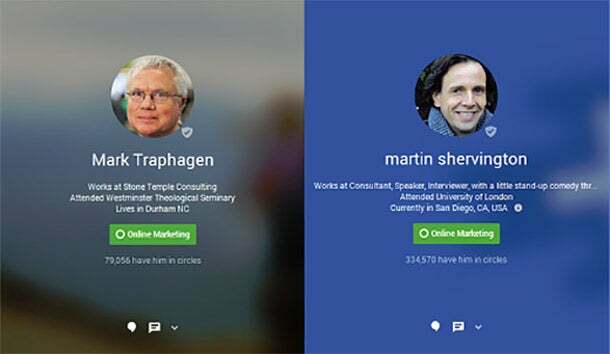 Two of the best examples of people who use their personal profiles for business are Mark Traphagen and Martin Shervington. If you take a look at their profiles, you’ll see that, while the profiles are all about them personally, each post and conversation they get involved in helps to increase the brand awareness of their particular employer or business. Don’t just comment and Plus One the content of others. Post your own engaging content. Make sure you are updating your Google Plus page on a regular basis. The content needs to be exclusive, valuable, and compelling, both in terms of visuals and substance. 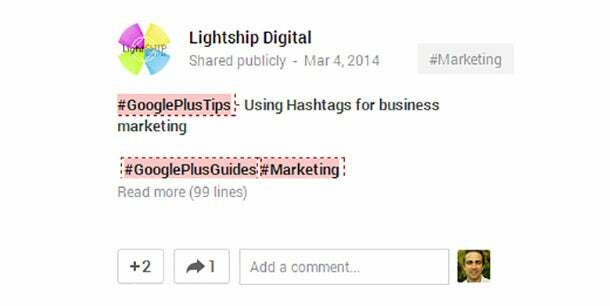 Knowing that Google Plus posts are searchable, you should treat them like a micro blog (and a very powerful one at that). For your business page, you should keep the content strictly on topic, but you can use your personal profile to post content on other areas of interest. Follow people and businesses you are interested in, and many will follow you back. Unlike Facebook or some other social networks, where you will find lots of fake profiles, Google Plus is not very crowded. Plus, the restrictions are not as limiting as they are at some other networks. If you have spent time buffing up your profile, description, and image, etc. simply adding relevant people to your circles will result in a majority of the people adding you back. Remember that you should be doing the networking and outreach mainly with your personal profile. That will benefit your business page indirectly, since the more you can manage to get into the circles of other people, the more exposure you will get for your business page, by sharing your business posts. Be more than a page. Get active and engage with people in a one-to-one fashion. Apart from posting regular updates, useful links, or images, you need to engage with users on a one-to-one basis. 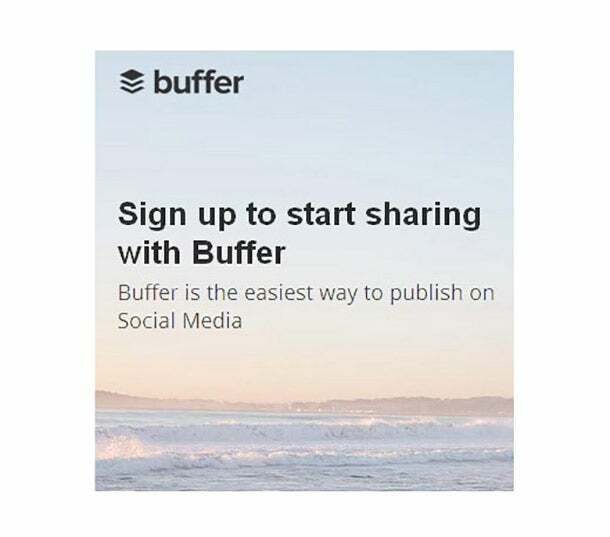 For your business profile, the engagement will be limited mostly to people posting queries, messages, and posts on your business page, with some occasional posts made on some community, etc. But the real networking will be carried out via your personal profile, and it will take a lot more than liking (+1) others’ posts. You need to follow and interact with relatively active people in your niche, take some time to go through their posts and make thoughtful comments, and participate in relevant discussions, communities, and hangouts. Use the explore feature to check out what’s hot in your niche. Keep tabs on trending topics, and it will give you an idea as to what kinds of posts, images, or GIFs are getting exposure among your target audience. In most cases, you will notice that a lot of content is not very creative, or entirely original. Again, your content needs to be on topic in case of a business page (though you can use polls, questions, or surveys to make it more engaging), and you always can use some off-topic posts, images, or GIFs on your personal profile to win new friends. 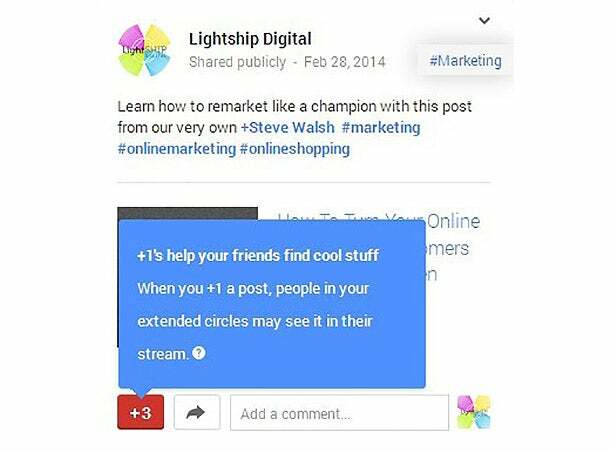 Use the search function in Google+ to find your target audience. While trying to engage people, or simply adding people to your circles, you should be focusing on your target audience, especially the people with active and high authority profiles. 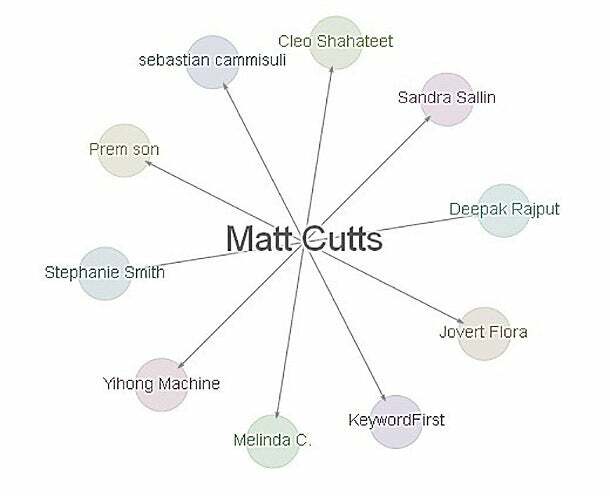 To find these people, you can use the search function on Google Plus while using the Ripples feature to see who’s worth investing time with, and who’s not. Rotate post time until you figure out when you get the best results. Depending on the age group, time zone, or occupation of your target market, posts or updates made at different times can yield significantly different results. Not that the quality of your post doesn’t matter, but knowing the optimal time to post is important for getting maximum exposure and response from your target audience. And, the only way to figure that out is to test and compare. If it’s not feasible to post manually at a specific time on a regular basis, you can use a tool like Bufferapp for custom scheduling. Don’t annoy people with random notifications. Know the notification triggers and use them wisely, but, remember, there’s a very fine line between taking advantage of these triggers and stepping into the forbidden territory of spam. Depending on the preferences set by users, there are almost 20 actions that will result in a notification being sent to their emails or phones. 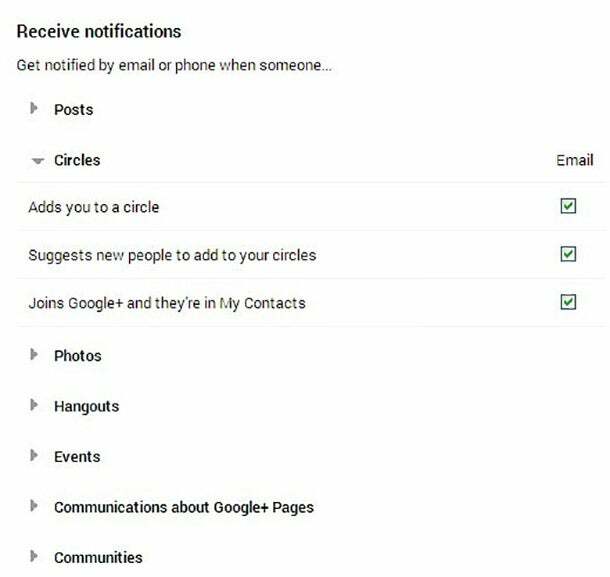 To know these triggers, you can visit the Google Plus settings at your profile, and look under the “Receive notifications” setting. Hangouts On Air are a great way to brand yourself or your business as an expert. 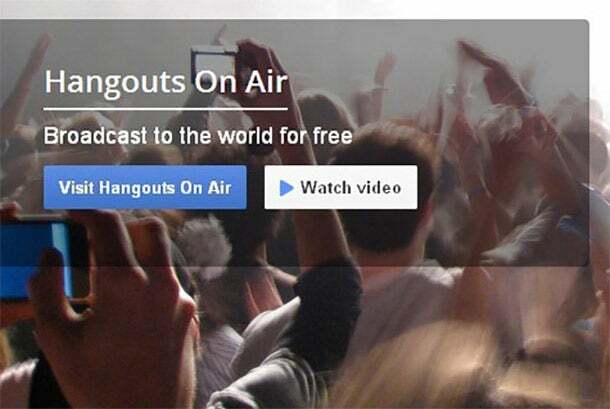 If you are an authority on your subject (or you can get an expert on board),Google hangouts-on-air can be a great platform to engage and impress you target users. While it will take quite some time to plan, prepare, and promote a hangout on air, it’s worth the effort. You can build a good following by organizing a successful hangout-on-air every once in a while, and it can be a nice step toward establishing yourself as an authority. 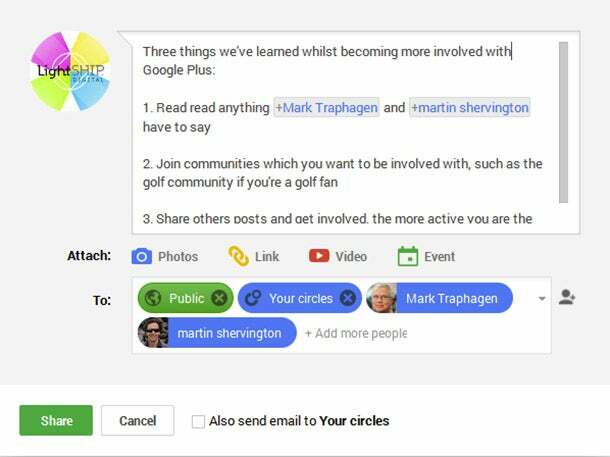 Be social and create events through Google+. 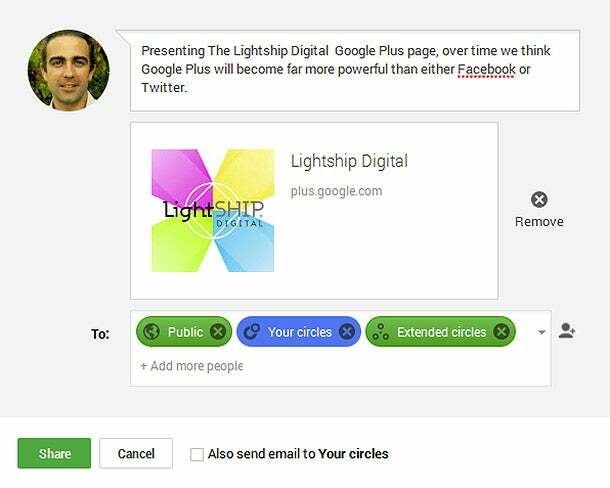 To promote your hangout, create a circle of Google Plus users that you are looking to target. 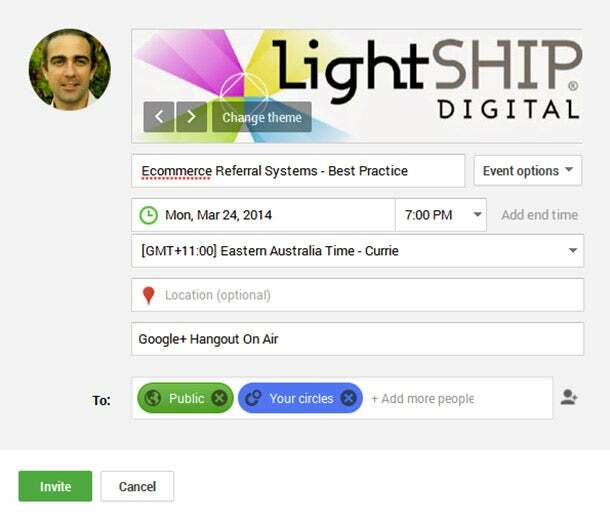 Create an event for your hangout, and send the invitation to the people in that particular circle. Use a compelling title and banner to entice more people. Also encourage the invitees to share the news with their contacts. And make it a public event so that anybody can participate (unless you’d like some sort of restriction on attendees). By mentioning other users, Google+ automatically will send them a notification. Like Twitter, you can address specific users in your posts by using a plus sign (+) and choosing the contacts from the drop down menu. Mentioning other users in your posts is a good way to involve other people in the discussions, especially the influencers. 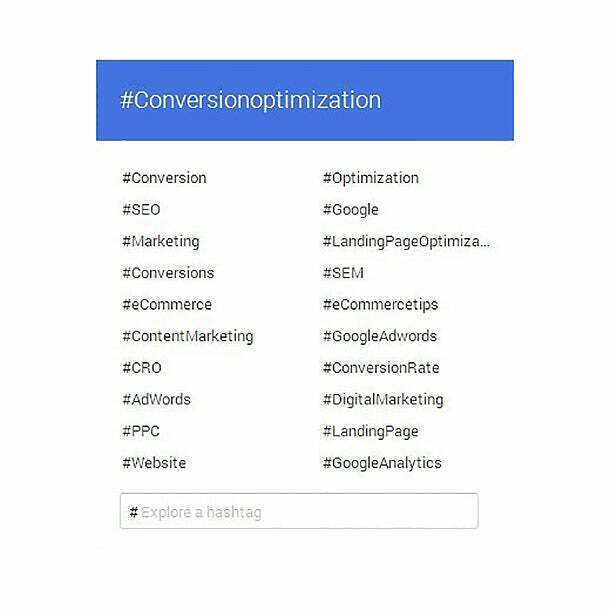 Hashtags help your content get seen by many users. Hashtags are used to tag posts or updates related to a certain topic, news, or event at social networks like Facebook, Twitter, or Google Plus. And now they are searchable at Google, so you need to make the most of hashtags. 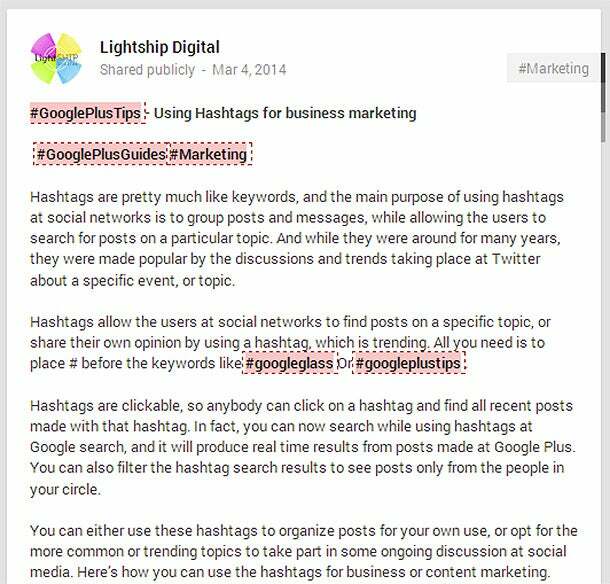 You can go through the trending topics and incorporate some of those hashtags in your posts for some quick exposure. Don’t be afraid to ask people to +1 and share your post. When someone +1 your posts, it will appear in the feed of people who are following them. And there’s nothing wrong with asking people to +1 your post if they like it (needless to say, you need to make it like-worthy first). For some, it might sound a little desperate, but, at times, a simple call to action can make the difference. By posting regularly, you will stay at the tops of your users’ minds. Use your real world contacts to build up your numbers initially. Don’t forget to invite your friends, colleagues, customers, and any other contacts to like or follow your business page. It’s good to have some followers (especially for small businesses) because, just like money begets money, page likes or followers beget more page likes or followers. Upskilled employees let you focus on strategy and planning. Encourage and train your employees to use social networks like Google Plus, LinkedIn, or Twitter. You can offer some kind of an incentive. And it can be beneficial for both your company and your employees. Make sure your Google Plus profile is in your branding. Promote your Google Plus page in your email signature, business cards, or any other advertising or promotional material you are using. Build your author rank and become an expert. Place your Google Plus profile in the author bio whenever you get a chance to be featured as a guest author on other blogs. Not only will you get some followers (if the guest post and the blog are good enough), it also will contribute to your author rank. Google Ripples is a great feature which helps you identify people to connect with. Make use of Google Ripples to find authority people with good reach and influence in your target market. Google Ripples will let you see exactly who is making waves and who isn’t. Needless to say, you should try to target both people who are getting the most shares and people who are actively sharing their posts (and here’s how to make use of the Ripple Effect). Get active in relevant communities and interact with others in your field. Google Plus communities are similar to online forums, message boards, or Facebook groups, where people with similar interests can come together and share information, ask questions, or initiate discussions. You can search and join relevant communities (while using your business or personal profile) to interact with your target audience. And if there’s no community which suits you perfectly, you can create one. Add a badge to your site to show people you have a social media presence. It has been more than two years since the launch of Google Plus, but while we see many businesses promoting their Facebook or Twitter pages, very few businesses have posted a link to their Google Plus page on their website, mainly because it’s not in fashion as yet. You really shouldn’t be waiting for some SEO bigwigs to declare it an absolute-must, or for your competitors to take the initiative, before you decide to do so (because by then it will be too late). Once you’ve created a Google Plus page, you shouldn’t waste any time placing a link, badge, or widget on your website. You can use the official Google Plus badge, widgets, or a simple icon linking to your Google Plus profile. 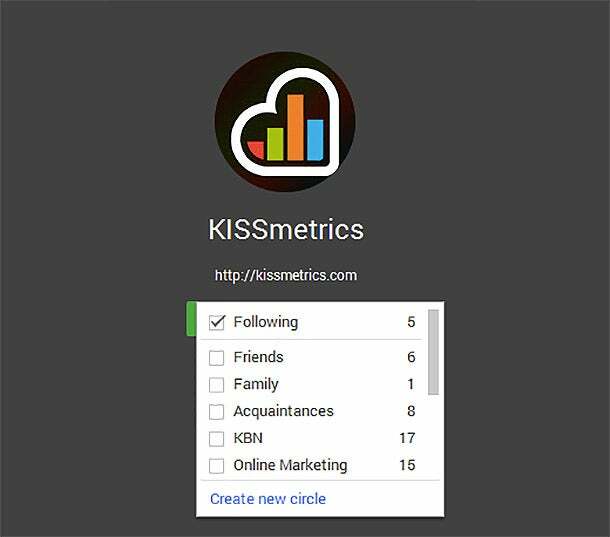 Using a Google Plus badge also will make your brand eligible for the Direct Connect feature. However...use these site badges with caution and don’t forget your end objective. If your real goal is to have your visitor purchase an item or make an inquiry, then think carefully before adding the badges to your site, as they may lead your visitor away from your site and away from the sale. As you can see, there is a huge variety of ways to interact on Google Plus. Jump in now while the momentum is building, and watch your business ride the Google Plus wave.